As per all the Lost & Found collections this was fabulous!! Lots of glittery goodness with a vintage touch to it. So let's get to it. -I loved the bold patterns! Definitely keeps your attention. -Loved the variety of the ephemera pack. So much to choose from!! -Really liked the chipboard elements. The adhesive was perfectly sticky! What a great thing!! -Mini alphas!!! Lots of them! 8 different sets!! -NOTHING!!! I loved this collection through and through! Bottom Line: I truly enjoyed this collection! There was so much to it and it was a joy to work with. I even didn't mind the glitter getting everywhere. So much fun! Get it. Now. You need it!! What do you think? Is this a collection that should be in the Lost & Found or in your stash? Let us know! Leave a comment telling by midnight EST on Tuesday to be entered to win a collection of your choice! US Residents only and please leave a way to be contacted if you win!! I really like the vintage feel of this collection! I always love MME! I love the muted colors of this collection it would go great with some heritage photos! I love the old fashioned look of the papers. That is my all time favorite look. MME has some of the most wonderful collections. Love this one too! I have been eyeing this line for some time now. I have no doubt this collection is great quality, because that's just how MME rolls. While I do like bold patterns, I do have to say the color scheme isn't my favorite. I like at least pops of color, so just from these images, I would say that I'd pass on the antique kit. I love the vintage look of this collection! I do love this collection alot! 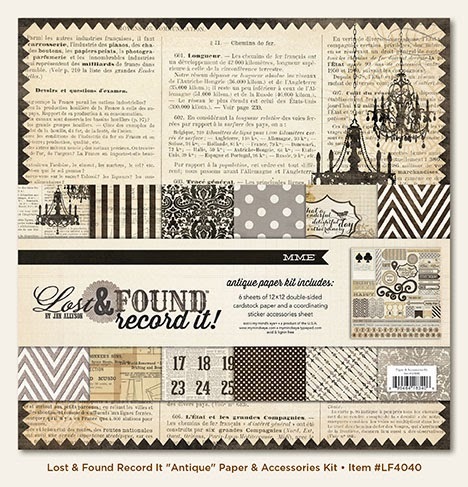 I love vintage and I love fun paper patterns so of course this is one I am crazy about! I like the way you can add your own pops of color to the neutral palette! Love not only the vintage look but the neutral colors - they work with so much! What a gorgeous vintage collection! MME does glitter so well!!! 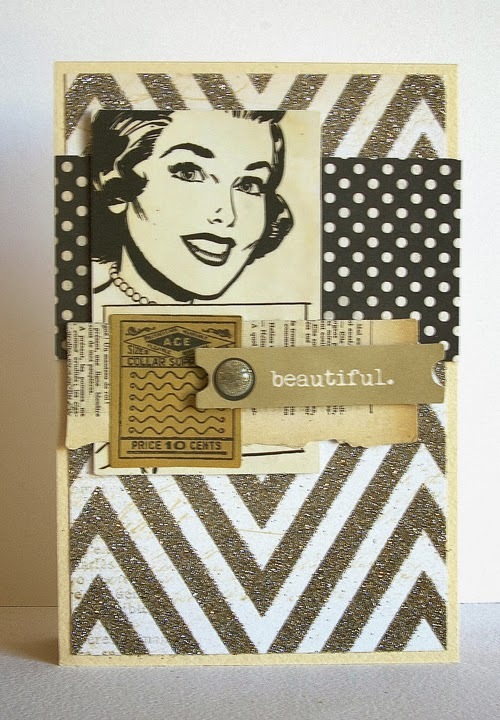 I just love vintage and this collection is so awesome, love the graphics and sparkle they added. It would be wonderful to have it in my stash. I forgot to add my email in case I win, my email is nathansmom7@gmail.com, thank you. I do a lot of masculine pages and this would be perfect for them! I think this is a good paper line for either gender. You can get away with sparkle and shine when it's gray-for the boys in your life. Wow! What a cute set! Would definitely love to add this to my stash! I love this collection and i love what you made with it. Thanks for sharing! with you 100% on this one. I loved everything about it the first time I saw it.And it's so versatile. i love all things MME!!!! and i do like this. the colors are great!!! classic and great samples. love your projects. 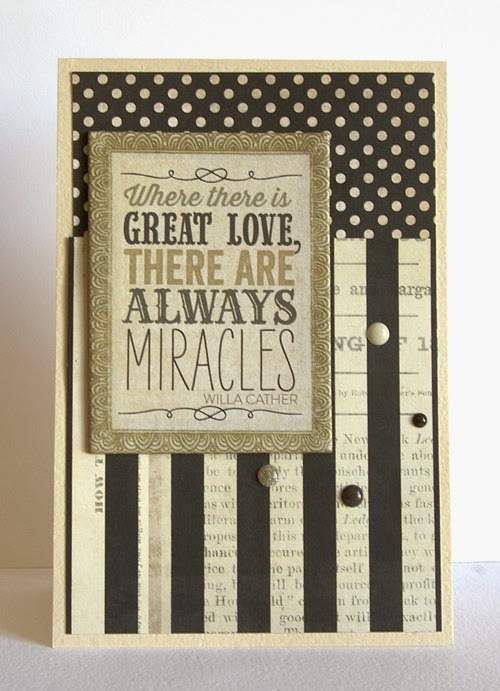 Love the vintage look of this line from MME! Great line for some masculine cards or layouts. I love everything about this collection as well. The black and white and grey color scheme makes it so versatile and I really like working with vintage designs. I think I would use this for everything including scrapbook layouts and home decor! I agree with you - love MME & especially their Lost & found Collections. Thx for the chance. This is such a versatile collection that can be used with so many types of pictures! I love MME and just did a halloween layout with last years "glittery" line so the glitter comment made me giggle. Love the simplicity of the cream/black in this line!!! 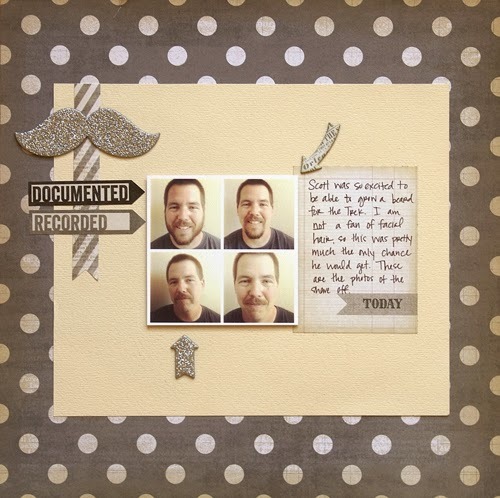 Cute cards and dh...(not a fan of facial hair either..lol!!)! I definitely need this collection in my stash. It's awesome. Great page! I love MME! Glitter is good!